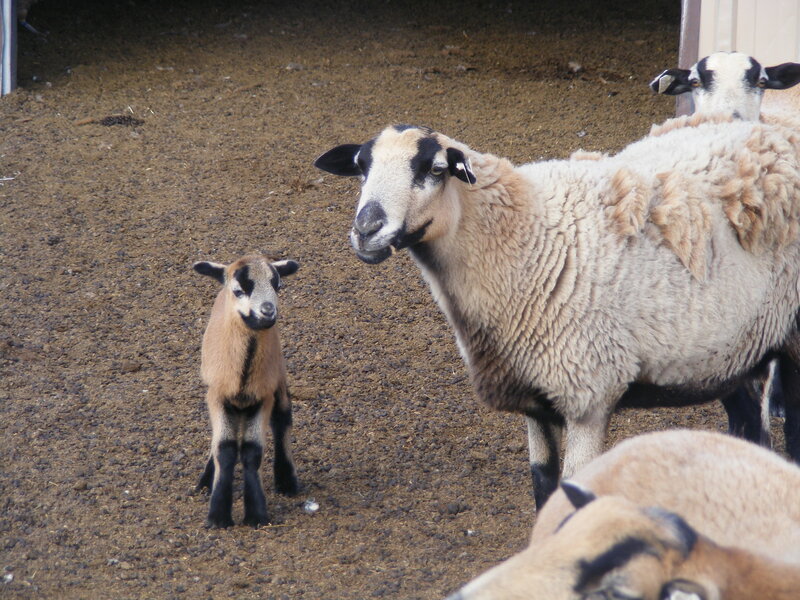 New Barbados Blackbelly lamb: A good omen. Well, it is true! We have officially downsized all the animals here at Windkist Ranch. We are blessed to have found good homes for everything we gave away. Now what? Well, I have been taking an Organic Vegetable Production course from the University of Massachusetts, Amherst. It is my understanding that they are considering a Bachelor’s Degree in Sustainable Farming, fully online. When I was searching for a course that would give me the farming skills needed to produce a large amount of winter feed for our animals, this was the only US course I found online. I was hesitant, having spent the past year and a wad of money on two locally offered Permaculture classes and I the fact that I didn’t learn as much as I had hoped for, given the price. But I took a chance and I can’t say enough about the quality of work and assignments; the professional, experienced instructors; and the amount of details and depth of material covered. It is a 3-credit college course, after all. Now, instead of stumbling along once again, this course has shortened the learning curve and given us some valuable knowledge to move forward with. the Spring of 2014, we are going to plant a cover crop on about 5 acres, using a no-till approach. We are looking for simple farming implements that we can pull with our 1947 Ford 8N tractor or possible a mule. The no-till system will be perfect for our windy conditions and the brittle, fragile environment of our Rocky Mountain tundra. Assuming the cover crop grow, we will plant turnips, mammoth beets and barley in the Spring of 2015 and put in a few more acres of cover crop. We have a 1/4 acre kitchen garden, which I have had varied success with over the years. But between the Permaculture and the UMass course that garden should be provide a cornucopia of food from now on. I’m already eyeing more Ball jars, never a bad problem to have, is it? Root vegetables and grains that can be dry-farmed will meet all of our animals winter needs. The roots, along with their tops, will provide nutrients and variety to our sheep, pigs, dairy cows and ducks. The barley can be ground or sprouted and fed to all of these animals too. And mixing them in the cold, harsh winter will provide our animals so much more than meeting their feed needs, it will provide them with variety and comfort. To get this process going we took soils samples and water samples to a lab in Alamosa. In a few days we will have the results that we can then use to make seed selection that most closely matches our conditions. To be truly sustainable, we must grow seeds that will survive in our soil conditions with the minimal amount of amendments. Formulating a plan was a big step and new we are off and running. This entry was posted in Uncategorized and tagged animal feed, barbados blackbelly sheep, growing, mammoth beets, Permaculture, sustainable on November 17, 2013 by Windkist Ranch.